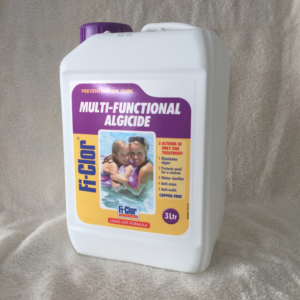 Polymeric quatenary ammonium chloride in liquid form used to treat & prevent the spread of algae in your pool. Copper free. 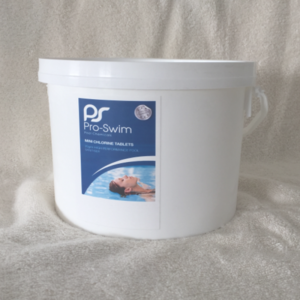 A broad spectrum water treatment biocide specially formulated for the dissinfection of swimming pool, spa and hot tub water. 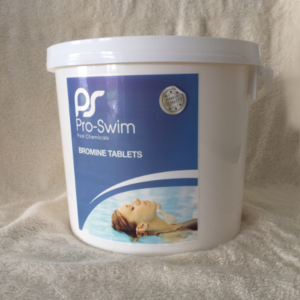 Slow dissolving stabilized 20g chlorine tablets for sanitising pool water. Use in floating dispensers. 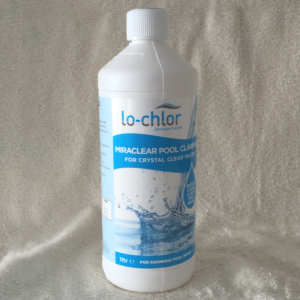 Stabalised chlorine granules for regular use, especially good for outdoor pools where sunlight dissipates chlorine levels. 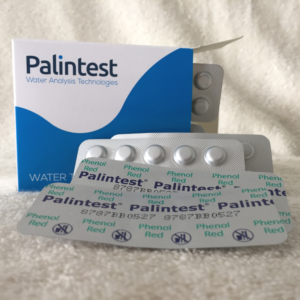 pH indicators in tablet form react in the water to change its colour. The intensity of colour is proportional to the pH level. 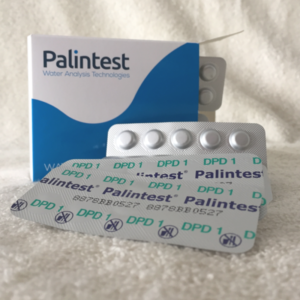 We sell 50 tablets in 5 strips of 10 for £4.50. 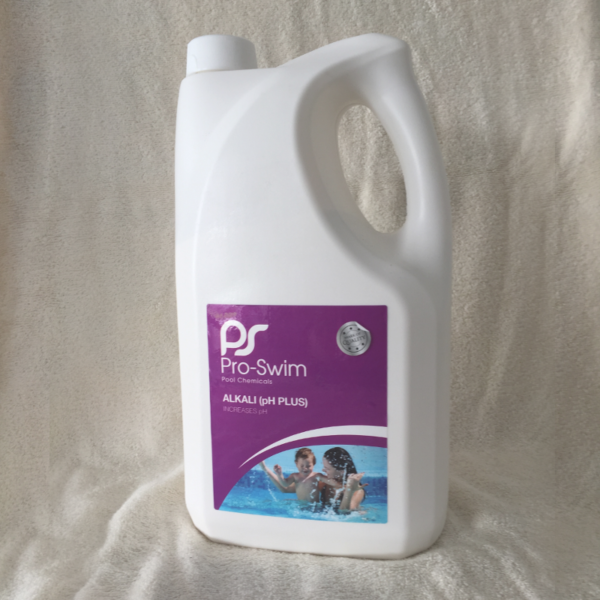 Tests quickly, easily and simultaneously for chlorine, pH, total alkalinity and stabiliser. 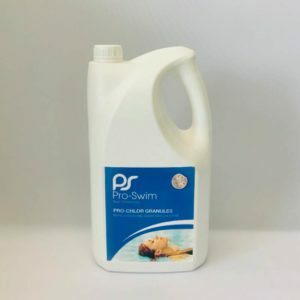 Simply dip the strip into the water and compare the coloured patches to the swatches printed on the side of the bottle. Diethyl-p-phenylene diamine (DPD) in tablet form reacts with free chlorine, turning the water pink. The intensity of colour is proportional to the amount of free chlorine present. We sell 50 tablets in 5 strips of 10 for £4.50. 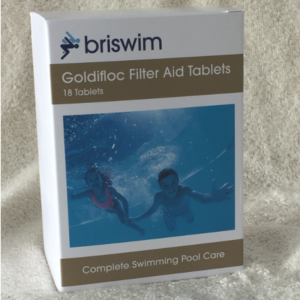 For crystal clear water, Goldifloc slow release tablets (aluminium sulphate) coagulate small particles that cause cloudiness so they are then held back by the filter sand. 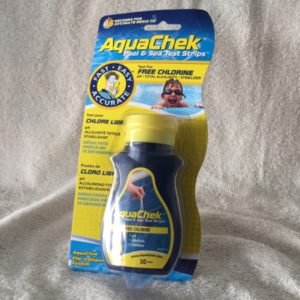 The ultimate clear water solution for your swimming pool. It works like a flocculant, grouping together microscopic particles that normally pass through the filter system. 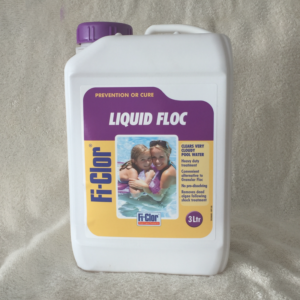 An aluminium based liquid floc which clears very cloudy pool water by removing large amounts of suspended debris.